The relationship between energy efficiency and economic growth will be addressed by Leslie Malone, Canada program director for Environment Northeast, as the Andrews Initiative Speakers Series on Energy and the Environment continues. Ms. Malone will present her talk, entitled Energy Efficiency: Engine of Economic Growth at both UNB campuses: on Wednesday, April 17, at 7:30 p.m., at Wu Conference Centre Auditorium, UNB Fredericton and on April 18 at 7:30 p.m. in Oland Hall, Room 104, UNB Saint John. Admission is free and the public is invited to attend. Ms. Malone's talk will explore the concept of energy efficiency as a reliable energy resource; the significant consumer, economic, and environmental benefits from expanded investment in efficiency alongside other clean energy resources; the barriers; and the policies and programs that drive investment in leading North American jurisdictions. Energy Northeast's 2012 study on the economic effects of energy efficiency in Eastern Canada will be presented with a focus on the results for New Brunswick. Leslie Malone is the Canada Program Director with ENE, a leading non-profit organization that researches and advocates innovative policies that tackle our environmental challenges while promoting sustainable economies. She has represented ENE at House of Commons and Senate Committee hearings, annual meetings of the New England Governors and Eastern Canadian Premiers, and various other forums in Canada and the United States. 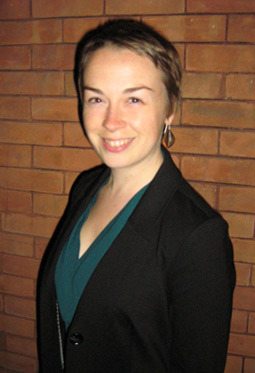 She is on the Board of Directors and Executive Committee of the Climate Action Network Canada. Currently based in Ottawa, Leslie was born and raised on Prince Edward Island, and holds a M.Sc. from the Imperial College, University of London and a B.Sc. from Mount Allison University. For more information contact Susan Montague.